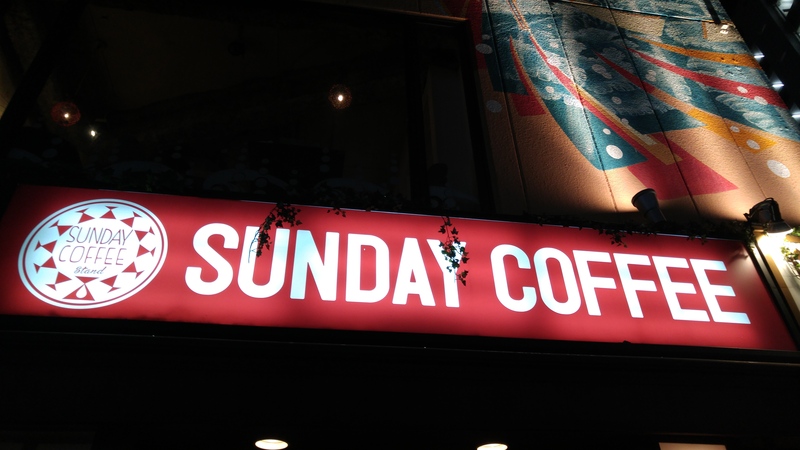 On my first night in Tokyo as we were wandering around Shibuya we passed a place near our hotel called Sunday Coffee with an interesting list of drinks posted outside. Since it looked like it was also a restaurant we were pretty determined to stop by but had trouble getting back before it closed, until my last night. At first we were a bit confused because it was two stories and looked like it had some pretty cool food. Then after talking with the lady working we realized that the upper level was a Hawaiian fusion restaurant called Hole Hole and the lower level was drinks and bentos only. My friend was pretty exhausted and just wanted to go back to the hotel and crash so we didn’t check out Hole Hole and instead I ordered their Loco Moco bento and a banana milk tea to go. 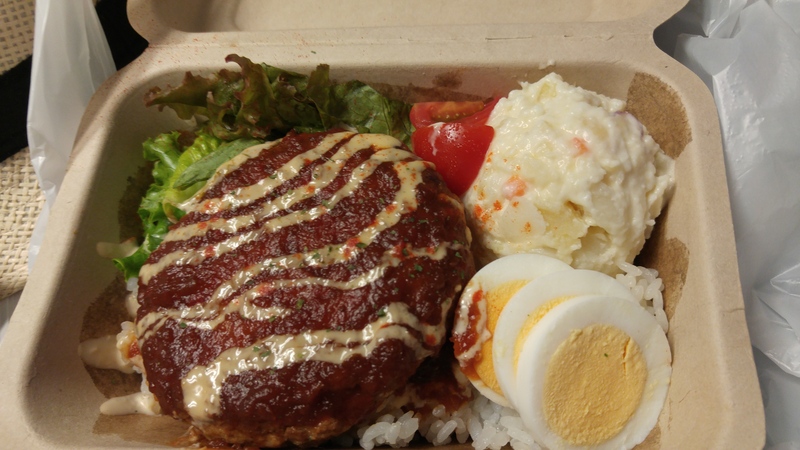 The Loco Moco bento was a bbq burger with potato salad, boiled eggs and salad. It was decent, a bit too much for me so my friend helped me eat it. 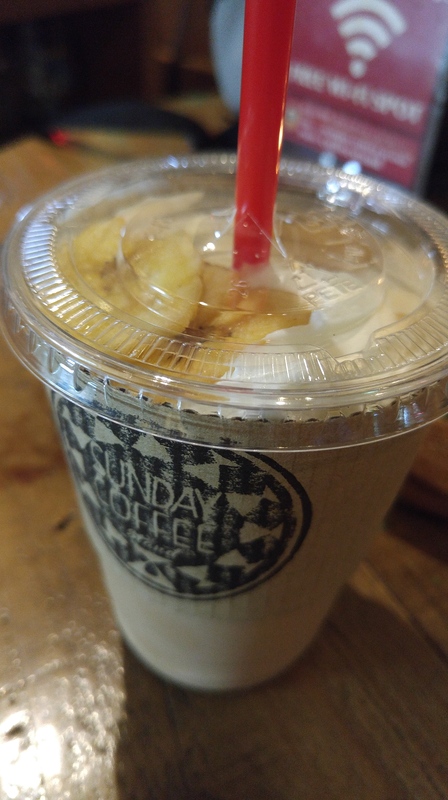 The banana milk tea was a strong black tea with banana flavoring and banana chips. It was actually pretty disappointing and very very bitter.